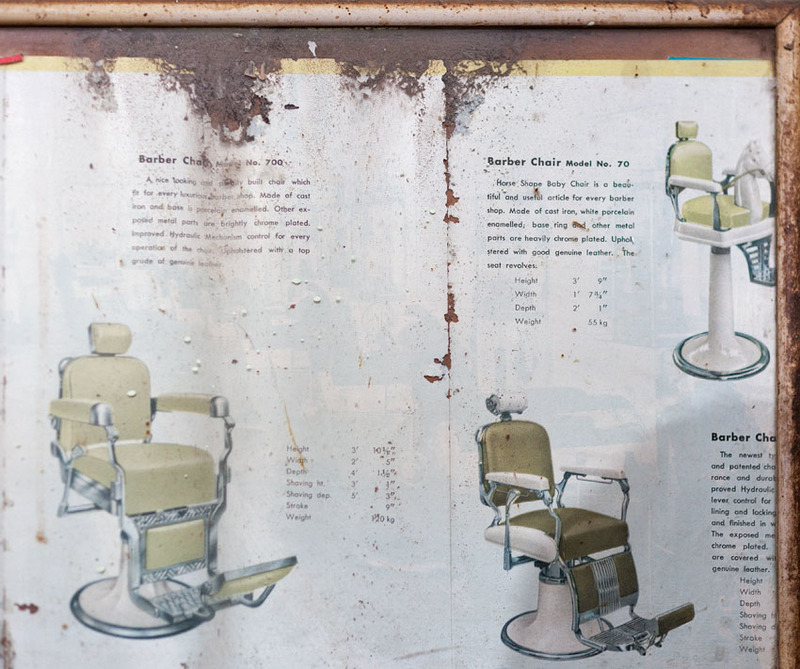 Survey of the city’s old barber shops. 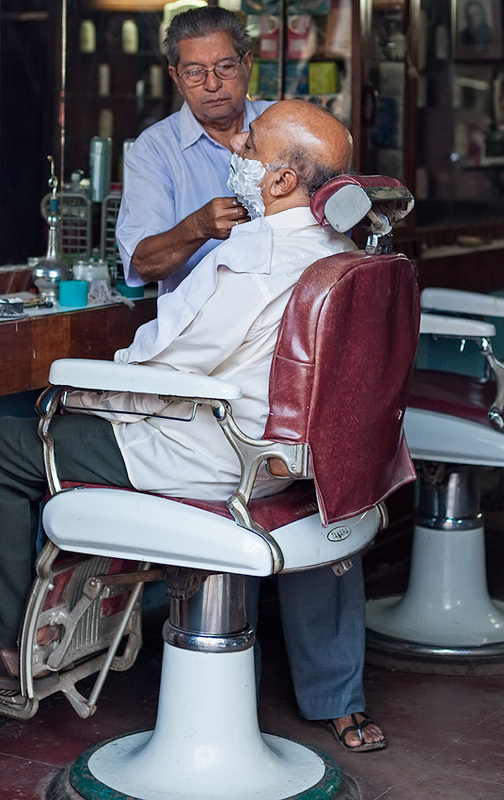 The few surviving barbearias (Portuguese for barber shops) of Panjim are reminders of a zeitgeist in which the simple pleasures of life could be enjoyed in a placid, languid setting. It was a civilized Goa. (No, this is not romanticization of an imaginary, distant past. There are photographs to attest to those times and some of us who lived through them are still alive and not that old.) 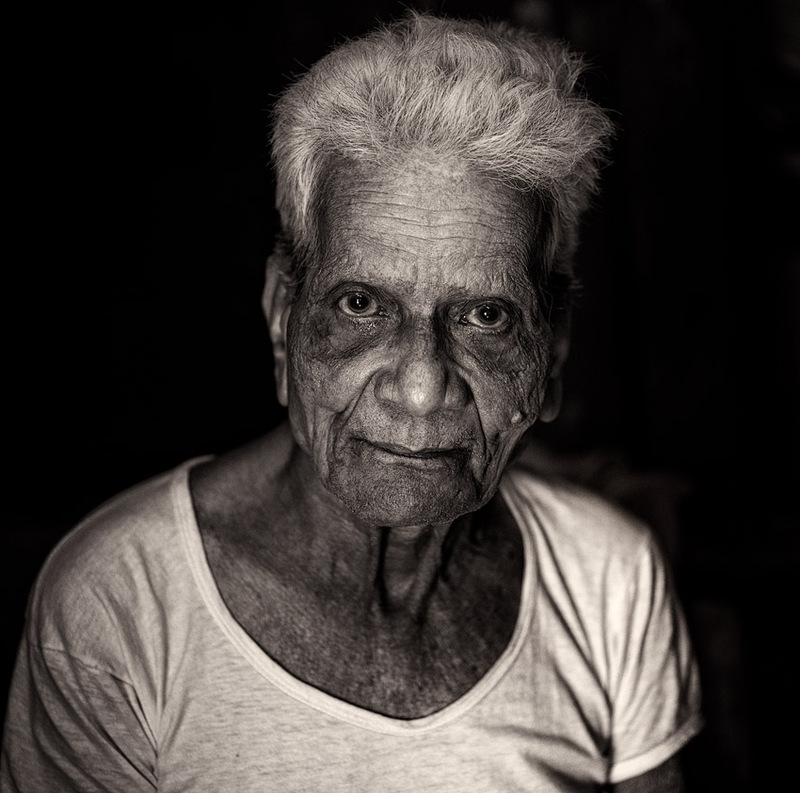 These hangovers now seem incongruous, unable to keep up with the more contemporary hair saloons and stylists that blot dot the city, mostly staffed by outsiders since it is very hard to find a young Goan willing to adopt the métier. Most of the barbearias of my childhood have closed shop. Notable among them was the one located inside the municipal gardens in the city’s centre. As was customary at the time, every family in Panjim usually had a chosen shop that its members patronized (similar loyalty obtained in matters of tailors, grocers, cafés, and so on). 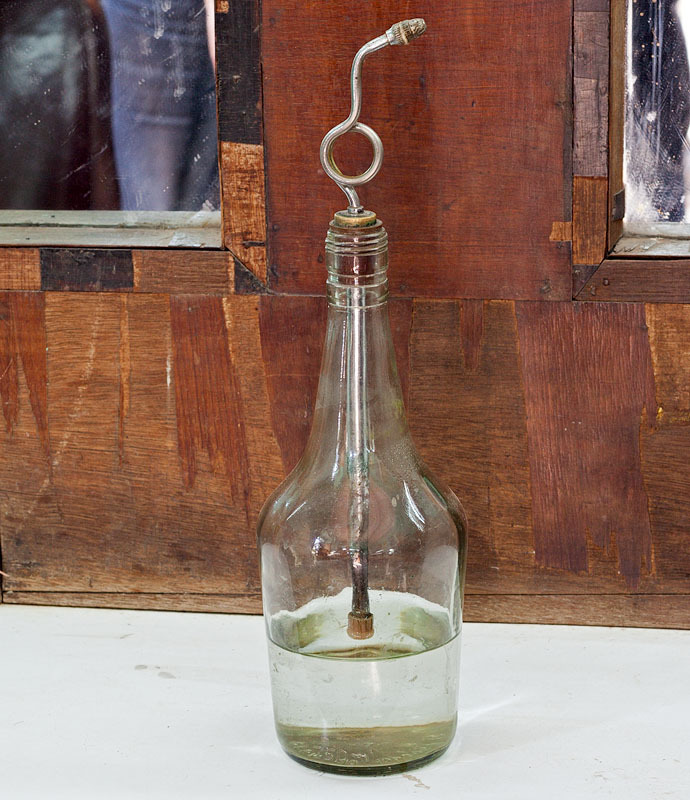 Barbearias were also the chat rooms of that era, an important community router directing news and gossip. 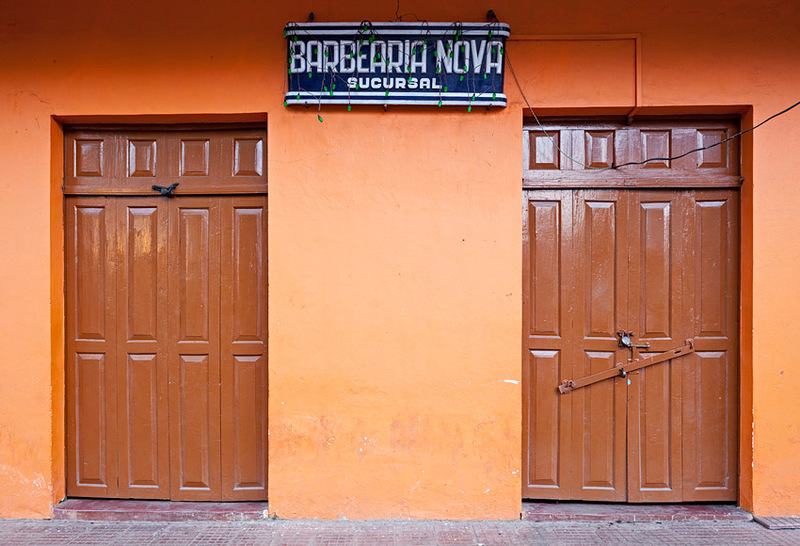 Our own affiliation was to Barbearia Nova, founded in 1958. My father would haul this little twerp there and furnish detailed instructions to the head barber on the kind of ‘cut’ he wanted for me. I had no say whatsoever in the matter. A couple of years ago, I took an excursion of the town’s barbearias. 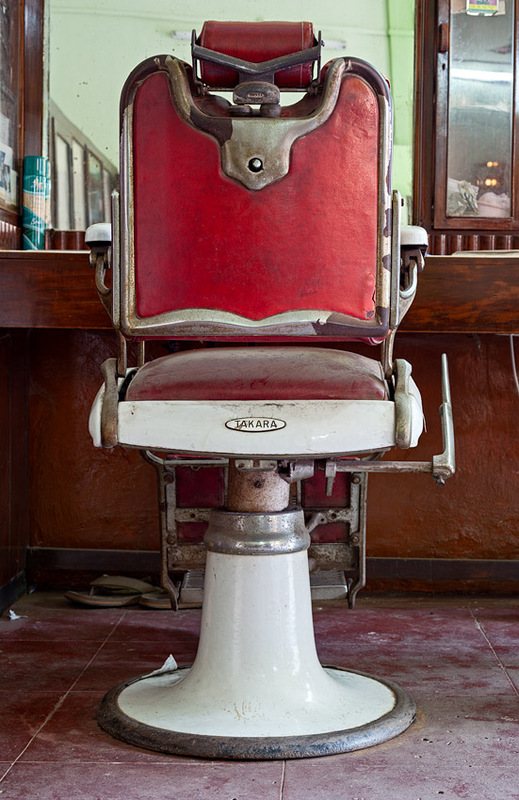 At Barbearia Nova I was stoked to see that the old kids chair made by Takara was still around. 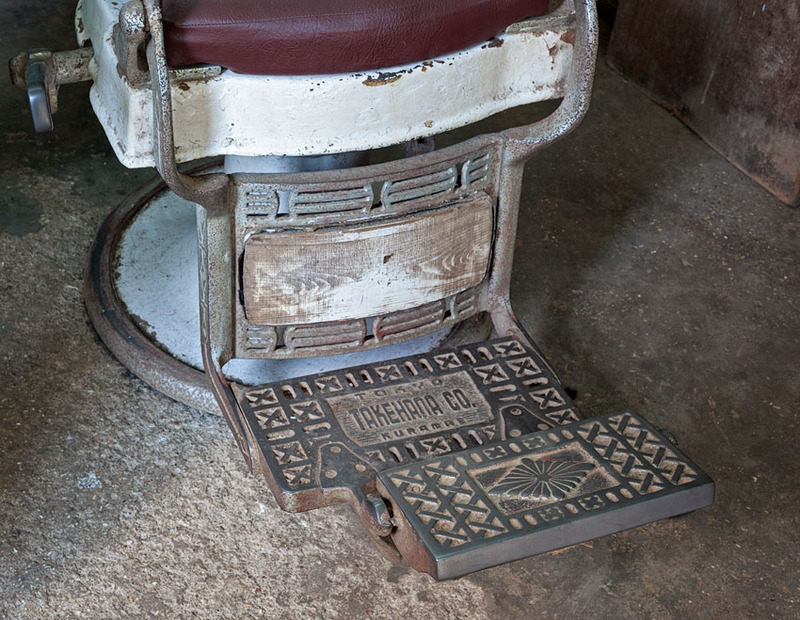 (For a brief history of the barber chair, see this.) 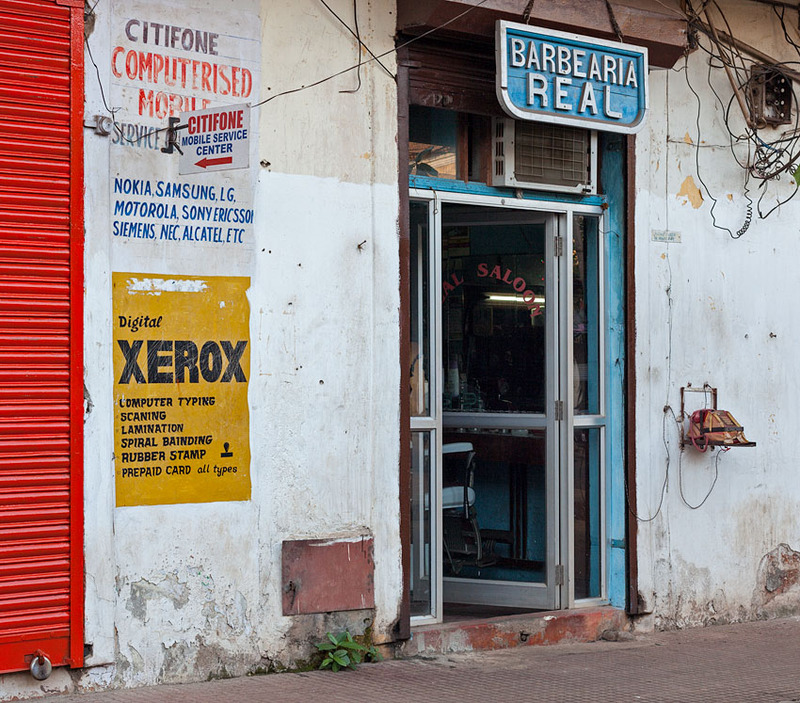 Barbearia Real is still managed by its original owner. 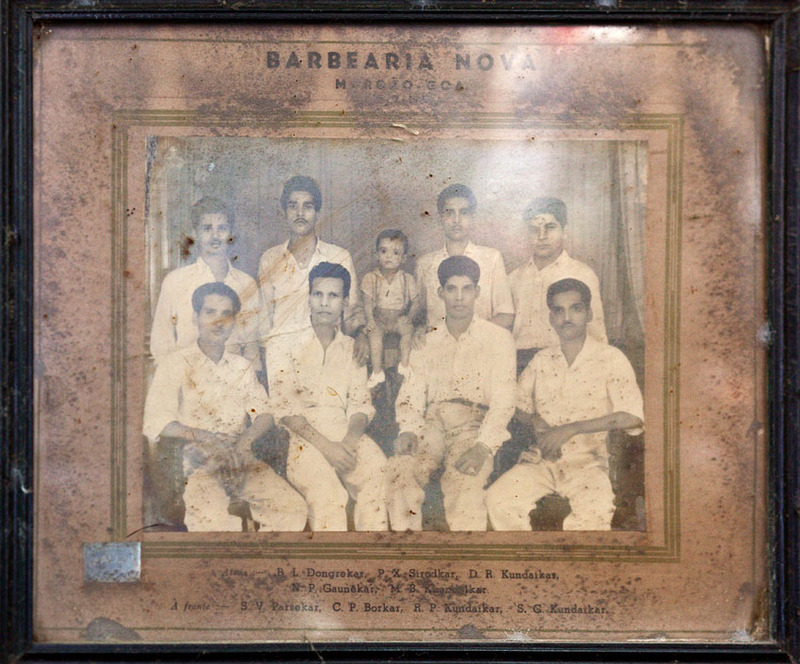 The oldest of the survivors is Barbearia Indiana, seen in the final photos below. I managed to track down Ramchandra Velgenkar, barber emeritus at Indiana, and had a delightful chat with him at his home. 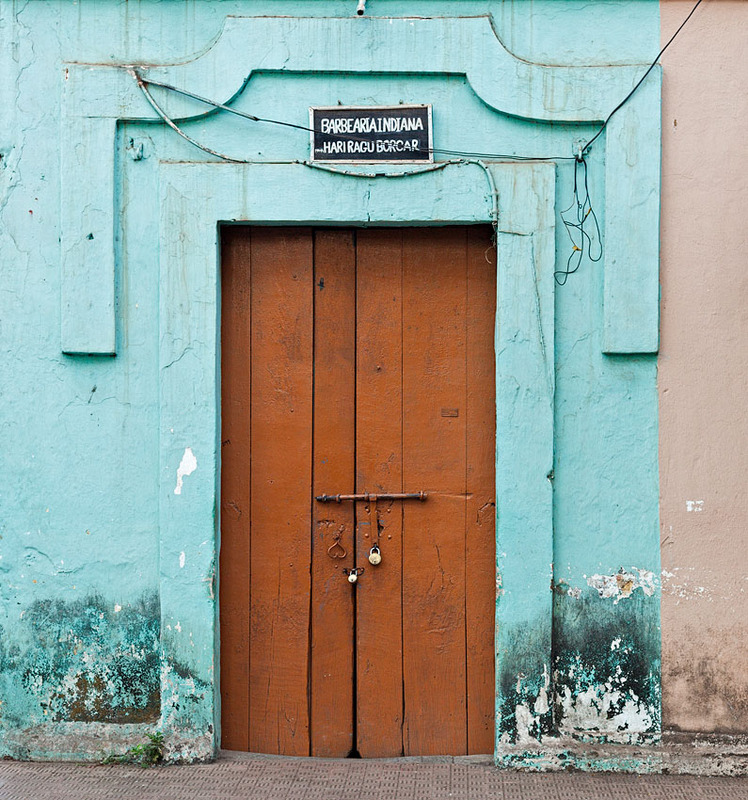 All my blog posts devoted to the heritage of Panjim are consolidated here. 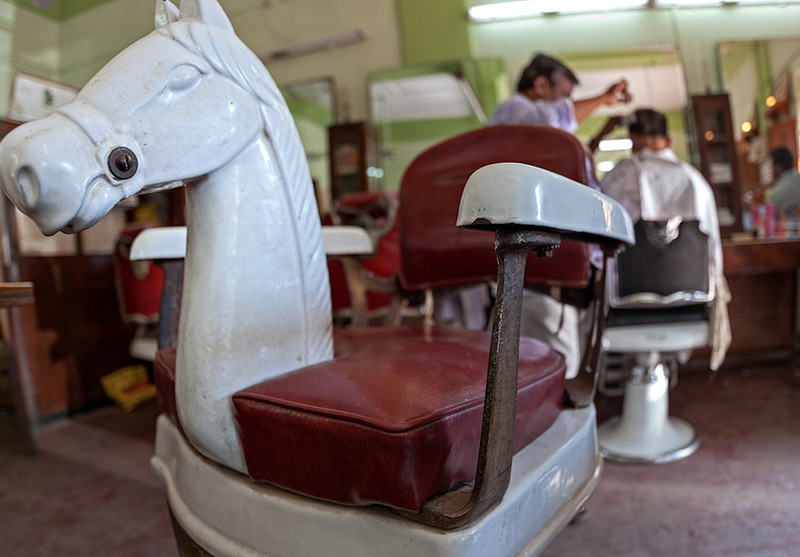 Most of the barber shops were manned by the ‘mhale’ or barber caste, nowadays called the Gomantak Nhavi Samaj. Nowadays I think that few want to carry on with this profession and with education they can easily migrate to other fields. 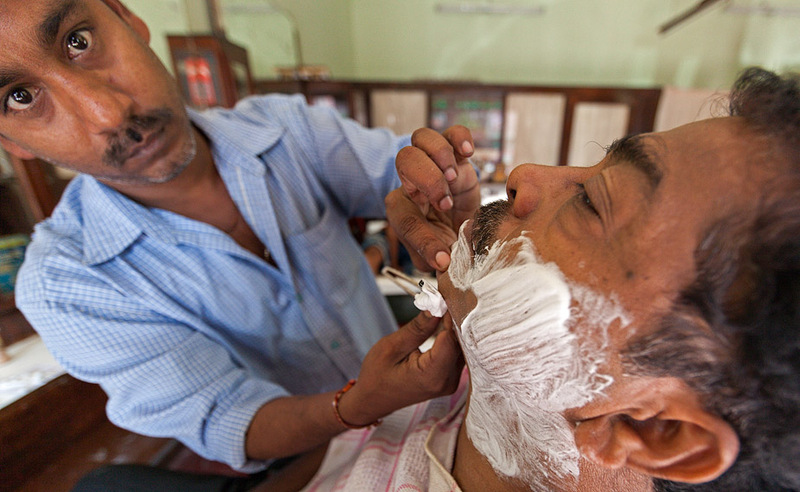 Or if at all they still run the shops, they hire barbers who migrate here from Andhra and other states. 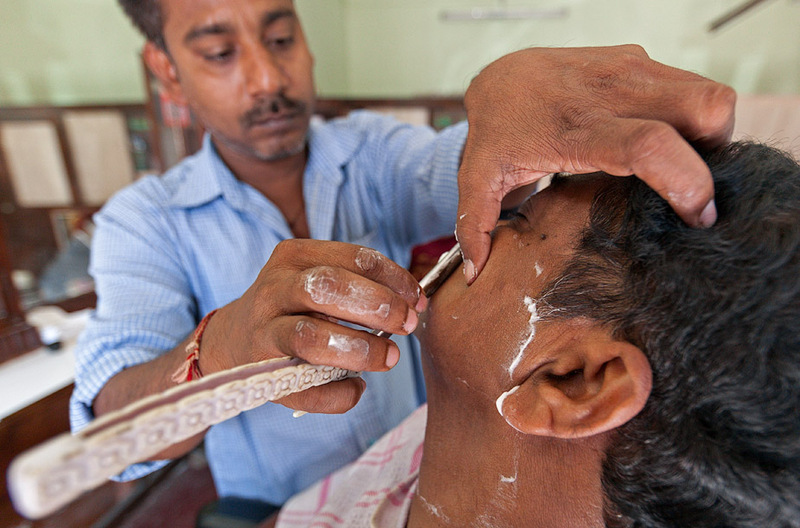 Even otherwise the migrant barbers are taking over the show even in the villages. Very creative project in Panaji’s visual social anthropology. Outstanding concept, outstanding idea, perfect tributes to professionals who are being thrown out due to influx. 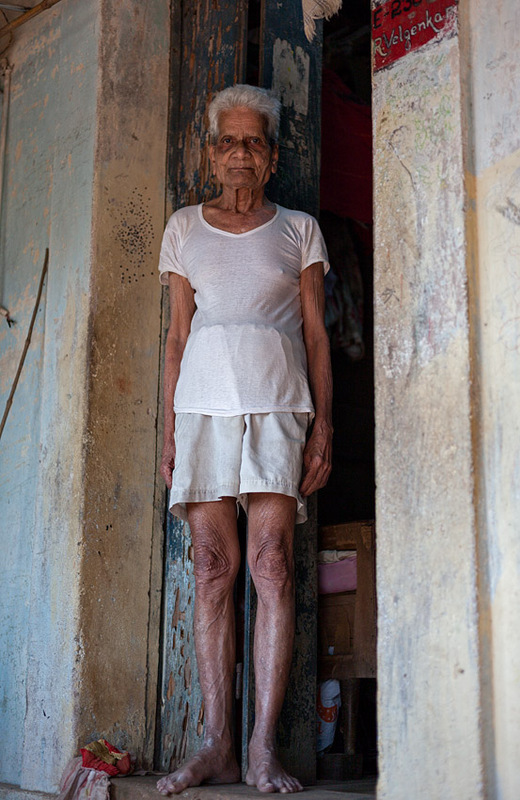 Yes, I have excellent memories of the barabaria – esp. the one in municipal garden, there was Sankhlakar nr. old Sher e Punjab (now Yatin Parekh’s shop stands there) and one which I patronised till last year nr. Hindu Pharmacy. Owner Ramchandra was a good friend of my father Mucunda and has many stories to tell. Nanu Tarcar Pednekar from this class (they call themselves Goa Nabhik Samaj) was a well known reformer of first half of last century and was active in educational and library movement. They founded the Mahalaxmi vachanalaya in Mala. In association with Goa Nabhik Samaj this exhibition can be taken to people all over Goa. 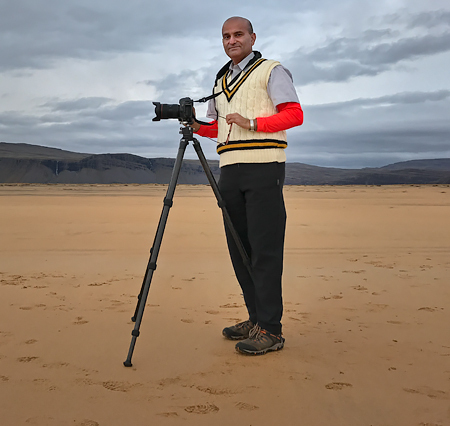 Great work Dr. Rajan, Panaji speaks through your lens. Purchase all the volumes by Vasco Pinho on history of Goa/Panaji and the one (may be 3rd or 4th) on old Panjim with rare photographs post 1880-90. I gifted my personal copy to Mr. Manoharbab Parrikar on May 25 in his cabin.